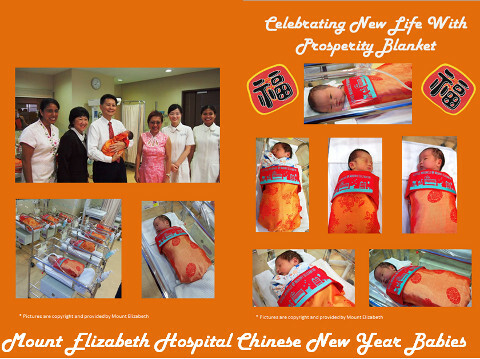 Mount Elizabeth Hospital brings surprises to new parents this Chinese New Year! Babies born in MEH this year are covered with the Prosperity blankets and these blankets are also given to them as a welcome gift to their parents, celebrating their new life and their new bundle of joy with abundance of happiness. Let us welcome these new born babies from MEH!